Wai attracts many for its serenity, and the famous Krishna river that flows by to beautify your experience. So when you visit this place and want to stay over, we'd recommend you choose Rutu Farmhouse. Just 4 kilometers off Wai is a farmhouse that will take you back to your roots. 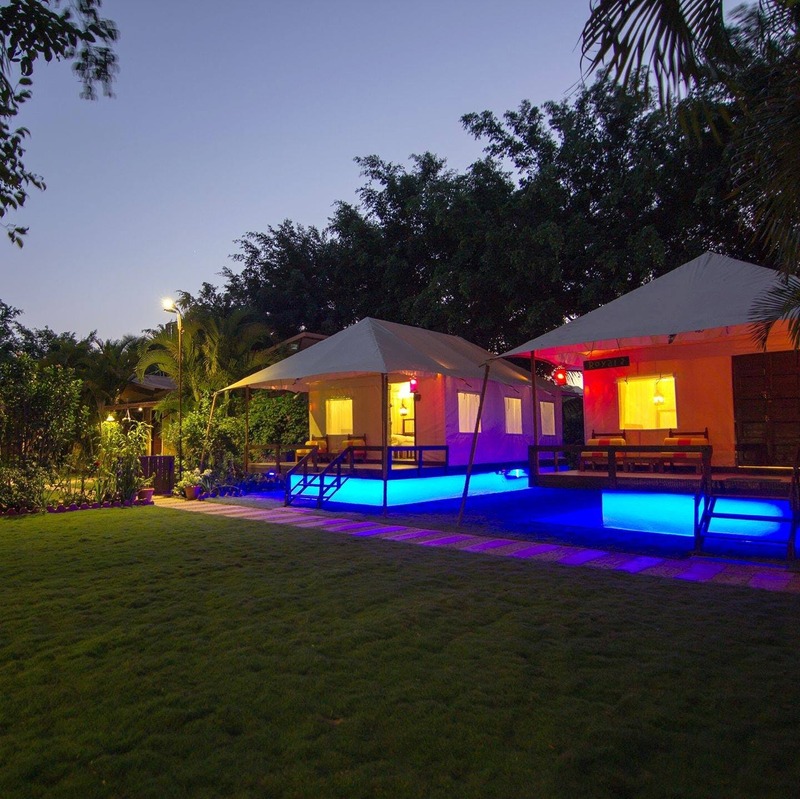 Rutu has a mix of cottages with private backyards (INR 3,500 a night) and royal tents (INR 4,500 a night) that enhance the essence of your vacay experience. This farmhouse facilitates agricultural tourism, and conducts rural visits for you in the neighbouring villages. The spacious rooms have courtyards in the bathroom and a private backyard. The backyard has a garden, where all the vegetables that are served to you in home-cooked meals, are grown. Coming to food, Rutu Farm offers a taste of traditional Maharashtra. The vegetarian and non- vegetarian delicacies have a rural touch to it, and the meals are only prepared on chulhas, which graces your taste-buds with earthy flavors. And if you're looking for some adventure, Rutu Farm will arrange for a bullock cart or a tractor ride in the farms for you, along with games like carom and badminton. Rutu Farmhouse isn't that far away from places like Panchgani and Mahabaleshwar, so you can even check-in here, and go sightseeing later. If you want to have their traditional meals, make sure you tell them about it in advance, for them to be able to prepare a good spread for you.